An Intel programme called She Will Connect aims to increase women’s access to the digital world. Research has shown there is a significant gender gap in developing countries in using technology such as the web. It’ll help to empower women in their businesses, increase literacy, and strengthen their voice. “I still cannot believe that I now use the computer and even the internet,” said Nigerian businesswomen and hairdresser Jessica Orji. She always thought the internet was more for the guys and online scammers. Through the web, she has learnt she can reach a wider client base for her business. “Now I love the computer,” she said. “With the internet, I can reach more people. I can advertise my business online through my new Facebook account, and even create fliers for my business. Orji took part in the Intel She Will Connect: My Digital Journey programme. 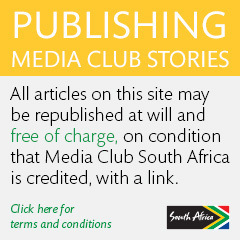 It is an initiative to provide a learning platform for women online. By being digitally savvy, women have a greater chance of increasing their income, receiving a better education, enhancing their political participation and having a stronger voice in their communities. Connect women and girls to opportunity through access to technology. “Educating girls and closing the internet gender gap also has an important multiplier effect – expanding opportunities for families, communities, and nations,” reads the Intel website. The United Nations (UN) has welcomed the project. “She Will Connect is going to be hugely transformational (for) women, families and communities and is crucial for sustainable development,” said ambassador Macharia Kamau of Kenya. His country was proud to be a part of it. The programme ties in to accomplishing South Africa’s National Development goal of obtaining a skilled workforce to support inclusive economic growth by 2030. 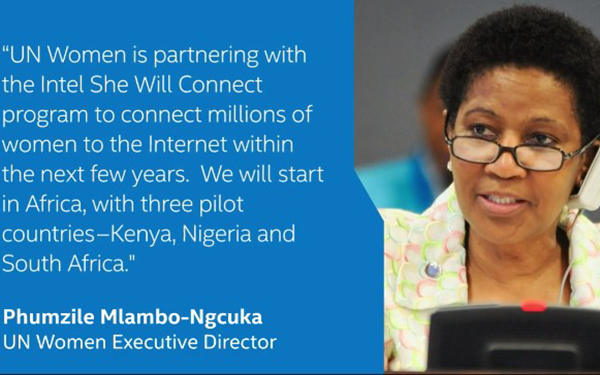 Intel’s She Will Connect was established after research was done into internet access across the world. The ensuing report, called Women and the Web showed that “on average across the developing world, nearly 25% fewer women than men have access to the internet, and the gender gap soars to nearly 45% in regions like sub-Saharan Africa”. It estimated that without intervention, the internet gender gap could increase to 350 million women in three years’ time. Another report, from the Broadband Commission Working Group on Broadband and Gender, established by the International Telecommunications Union (ITU), examined the role that information and communication technologies (ICTs) and the internet could play in advancing gender equality agendas, including equal access to new technologies for women and girls. The report revealed that, around the world, women were coming online later and more slowly than men and highlighted that in developing countries, every 10% increase in access to broadband translated to a 1.38% growth in gross domestic product. That meant that bringing an additional 600 million women and girls online could boost global gross domestic product by as much as $18-billion (R277-billion). 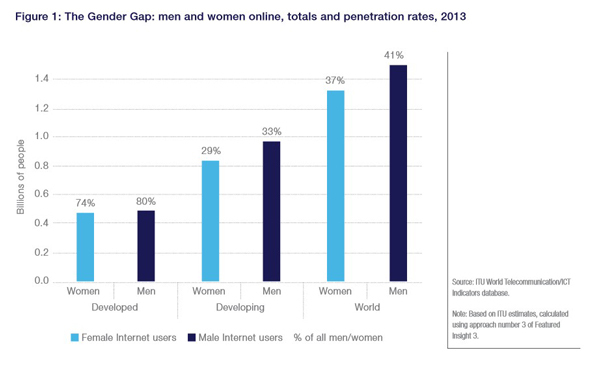 To read the Broadband Commission Working Group on Broadband and Gender report, click here. To read the Women and the Web report, click here. Nigerian poet and actress Titilope Sonuga is the spokesperson for Intel She Will Connect in Nigeria. She recalled how she was about five years old when her father bought their first computer. Back then, it was used for homework. She loved to use software that taught people how to type, which helped her to gain and hone that skill. “It’s interesting to think about the seeds that were planted from a young age and what that tells a girl and what her life can become. I know that a lot of opportunities that I have come across now happened on Twitter and Facebook and Instagram and because I am plugged into this global network I am able to access those opportunities,” Sonuga said. She said the programme would help women to push boundaries to be whatever they wanted to be, whether it was an engineer, poet, doctor or actress. “To think about girls or women who don’t have access to training to be connected to technology is heart-breaking because to realise your dreams, you need to be plugged into the world around you. Orji is also spreading her knowledge about computers and the internet, and has used it to help her mother, a caterer, with her business.